HomeUncategorizedBuckle up wine & food lovers, here comes a month of wine & food to enjoy…. 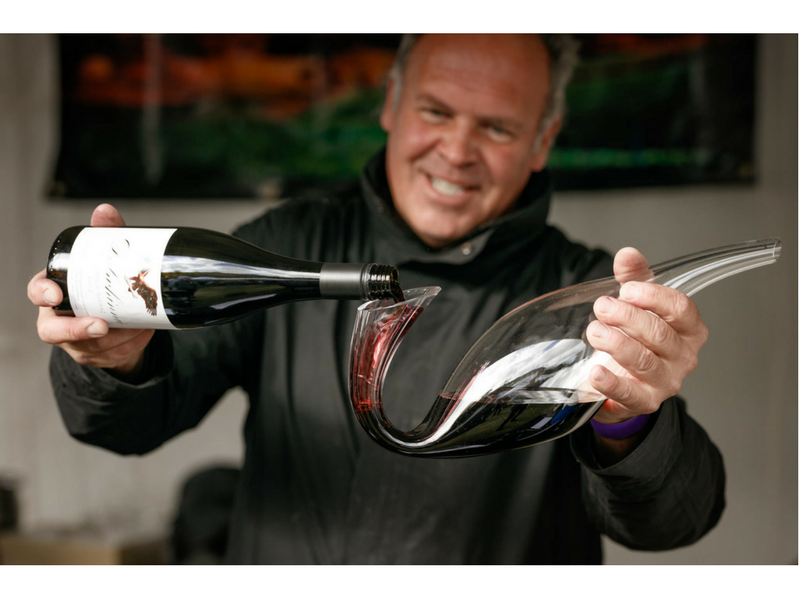 Buckle up wine & food lovers, here comes a month of wine & food to enjoy…. Grampians Grape Escape is one of the best events in the region, if not the state. But you know what? It can get even better with some events to celebrate all the way from Easter to the big event in May. Whether you’re into the food, the wine, live music, or all of those things combined, there really is something for everyone to enjoy before May 5. So make sure you get to one, two, or all of the Grampians Grape Escape partner events. It all starts with the Seppelt Seriously Splendid Series over Easter weekend. 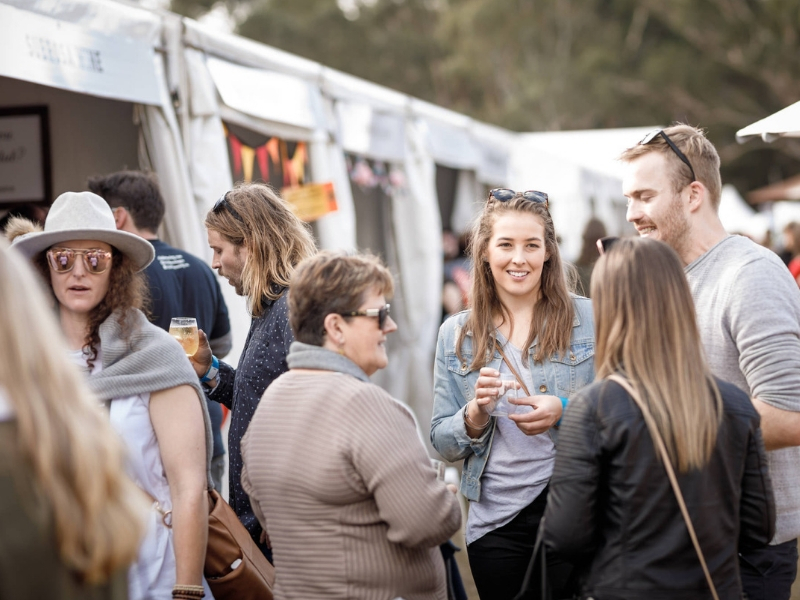 On Saturday, March 31, Sunday April 1 and Monday April 2 there will be live music on the lawn, a jumping castle, face painting, a barbecue, and of course, a bar with delicious Seppelt wines and cold beer. Seppelt has been a pillar of Great Western for more than 160 years. 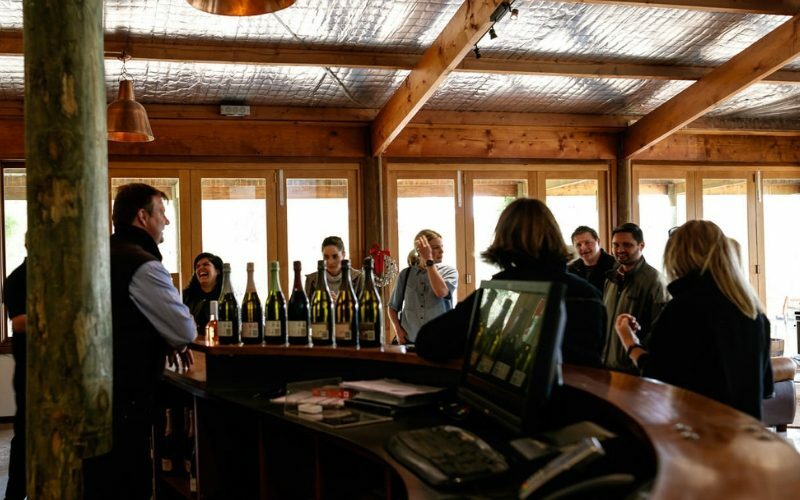 If you are keen for a true Seppelt experience, there will be premium wine tastings in the 1892 function room. There will also be opportunities to explore the underground drives below the winery. Tickets range from $15 to $25 and are available at Eventbrite. Call 5361 2239 for more information. Enjoy the ultimate Sunday sesh at Steel Cutters Cottage’s Shiraz Sunday in Great Western on April 1. Make the most of the Easter Sunday enjoying an afternoon of food, wine and live music. Local talent Riley Mason will be on the guitar singing a mix of classic tunes, while winemaker Adam Richardson will host a wine tasting. A carefully chosen selection of over 30 Grampians wines, premium beers, ciders and mineral waters are available to purchase on the day. To accompany the atmosphere and delicious drinks will be the charcuterie, French cheese tasting boards and a chef’s tasting plate. Sweet tooths will also be accommodated with some Easter treats on offer. Bookings are essential, call 5356 2486 to reserve a table. Head back to Steel Cutters Cottage on April 14 to dine with the winemaker from Dalwhinnie Wines. The Pyrenees vigneron David Jones will come to the Great Western venue to pair a delicious five course degustation with award winning drops. The lunch is $130 for the lunch, $175 including matched wines. Progress through what is known as Victoria’s wine village at the Great Western Progression on April 28. Explore and indulge in Great Western’s finest, with a progressive feast that will take you through the town’s incredible wineries, Best Wines, Seppelt Wines and Grampians Estate. Instead of matching wine to their food, the food has been matched to the town’s award winning wines, making this a unique wining and dining experience. The movable feast begins at Best’s Winery with canapés and multi award winning Best’s Riesling before heading into the impressive Seppelt Wines’ barrel room where you will indulge in the 2007 St. Peters Shiraz with mains and finishing the culinary experience at Grampians Estate for a famous Steel Cutters dessert you will never forget matched with Grampians Estate’s icon, the Rutherford Sparkling Shiraz. This event is one you will be raving about long after the final mouthful is long gone. Call 5361 2239 for more information. 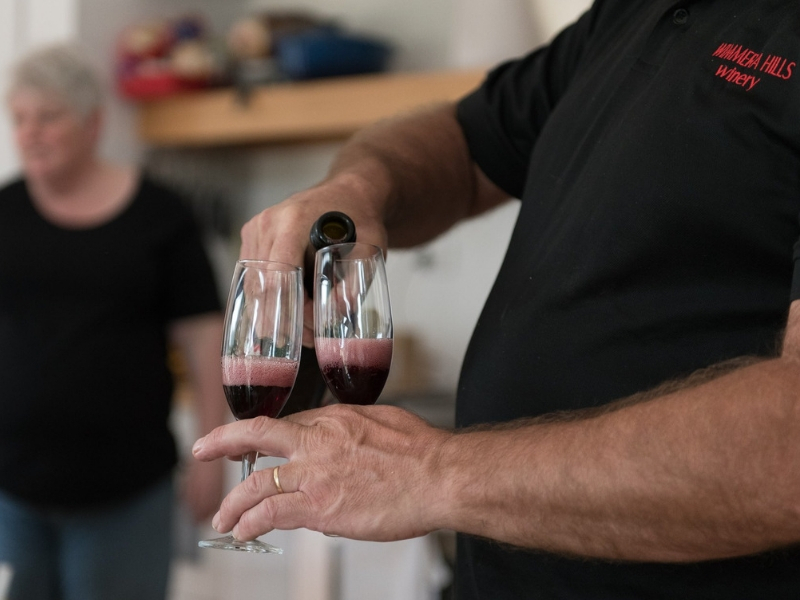 If you love trying new things, the Grampians wine tasting and pairing masterclass at Harvest Halls Gap on April 24 is perfect for you. The eatery, nestled in the stunning Halls Gap, the gateway to the Grampians and home of the Grampians Grape Escape, will be the spot where you can try some of the more delicious flavours of our region. Many would have heard of Brae, consistently named one of the best restaurants in the state, if not the country, in the small Colac-Otways town of Birregurra. Brae’s manager and wine aficionado, Simon Freeman, will take you through the masterclass, showing you how to identify scents and flavours using Grampians wines. You will then pair your wines with five canapes from Harvest’s kitchen. Becoming a wine expert will only set you back $55, a steal to become the go-to for choosing that amazing drop for you and your friends. Call 5356 4782 to book. Avoca’s ANZAC Day Races is on April 25. Spend your public holiday watching the horses, having a bet if that tickles your fancy, all with the beautiful Pyrenees in the background. Gates open at 11am when there will be traditional ANZAC ceremonies, Pyrenees wines on offer, free kids’ activities and a range of entertainment, including the Collingwood vs Essendon AFL game broadcast. The best part is, there are camping sites available from $15 a night, so you don’t have to rush home. 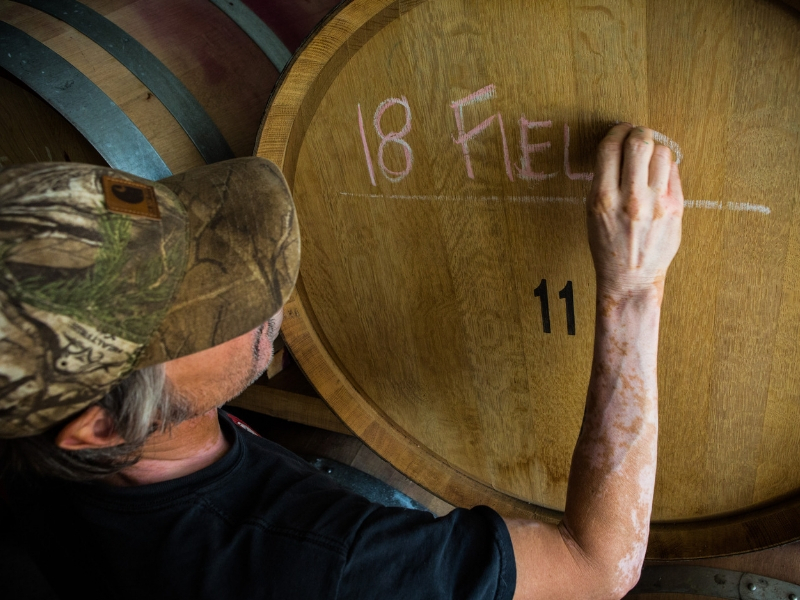 Pierrepoint Wines is hosting The Fat of the Land event on April 28. Open your eyes and your palate to the beauty of what the rich volcanic soils of the Western District brings. Pierrepoint Wines, multi-award-winning winery of the Henty Region, and Rococo Events, celebrated for their original and modern use of Australian ingredients, come together to provide a deluxe dinner of five courses with paired wines. Focusing on the finest local western Victorian produce, this elegant yet earthy experience brings the concept of terroir from the wine through to the food. The evening costs $150, call 0439 476 18 to book. Start the weekend of the Grampians Grape Escape festival right with Montara Wines’ Wine Down Friday event on May 4. Kicking off at 4pm, it’s perfect for the locals to have an after-work drink, and for visitors to get a little taste of the wonderful weekend to come. This monthly celebration of wine, food and music is the ultimate Fri-yay activity. As well as delicious food and wine of offer, there will be live entertainment by Soul Chic, an act with jazz, soul, blues, reggae, funk and classical all combines. The views while standing on Montara’s deck hard to match, with the Pyrenees and Grampians in sight. If you needed even more convincing, the Grampians Wine Tours bus departs from Halls Gap, Pomonal and Ararat to get you there and home again. If you want to treat yourself at a renowned foodie spot, head to the Grampians Grape Escape Wine Dinner at the Royal Mail at Dunkeld on May 4. The five-course dinner will be paired with a regional selection of wines chosen by the hotel’s sommelier. Places are $260 per person, call 5577 2241 to book. Those keen to make the most of the evening can pair the dinner with a two-night package which includes accommodation, transfer to Halls Gap and tasting ticket passes to Grampians Grape Escape on May 5 and a six-dish shared plate menu at the Parker Street Project. The Halls Gap Hotel isn’t missing out on the fun, hosting HGH Live Sessions on May 4 from 5.30pm. Enjoy the tunes of Rach and Liam Brennan at the pub in one of the most beautiful towns in Victoria. Enjoy a meal in the bistro, and wash it down with a local wine, cold beer or crisp cider. The hotel is also child-friendly with an indoor play room and kids’ menu. The Halls Gap Hotel will also be open on Saturday and Sunday night, perfect to continue on the fun after each day of the Grampians Grape Escape. Music on Saturday evening will be provided by Levi Anderson and Kane Sherriff. On Sunday, head to the hotel to enjoy the tunes of Phil Holmes and continue what would have been a very memorable wine and food getaway.